Jun-ichirou Ohzeki, Nobuaki Shono, Koichiro Otake, Nuno M. C. Martins, Kazuto Kugou, Hiroshi Kimura, Takahiro Nagase, Vladimir Larionov, William C. Earnshaw and Hiroshi Masumoto1. 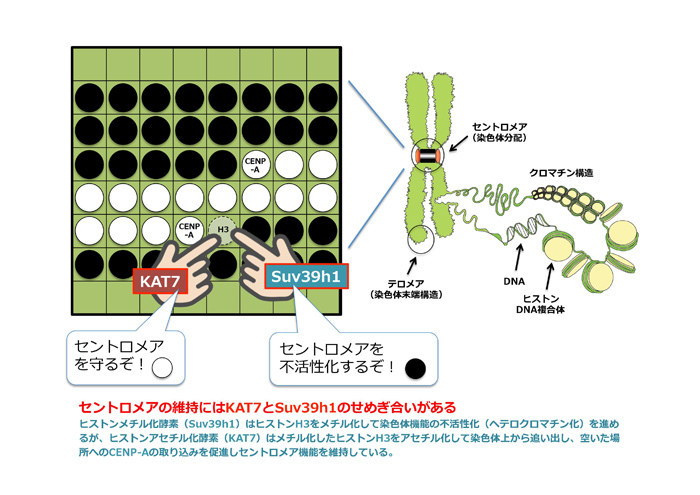 KAT7/HBO1/MYST2 regulates CENP-A chromatin assembly by antagonizing Suv39h1-mediated centromere inactivation. Developmental Cell. (2016) Jun 6;37(5):413-427.